Ready to become a clinical psychologist or counselor? What can you do with a masters in psychology degree? It depends on what division of psychology you trained in. A masters degree in psychology provides many doors of opportunity. If you completed an academic or experimental psychology degree, then most likely you will be teaching or conducting research. So work is at a university for both teaching and research or you can be affiliated with a public agency or private organization that needs the services of a psychology to help them in education and research. However, majority of those with a masters in psychology want to work in fields where they can apply their studies in real-life settings. The three more popular careers are clinical psychology, counseling psychology and school psychology. Recently, industrial-organizational psychology, forensic psychology and sports psychology careers have evolved. In most cases, it takes two years to complete a masters in psychology degree. It may take less time depending on your concentration and if you pursued online psychology degrees. 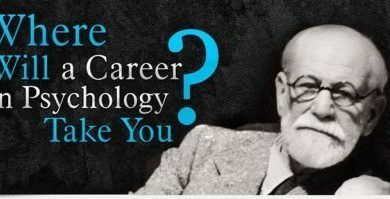 So what can you do with a masters in psychology and how rewarding are these career choices? 1. With a masters degree, clinical psychologists cannot go into private practice, You need a doctorate degree for that, and a license. Although trained with counseling skills, a clinical psychologist primarily handles patients suffering from mental disorders and after assessment or diagnosis, works out treatments that may include medication or psychotherapy, among others. The usual workplace are clinics or group counseling centers. With rising health care costs, insurance companies in fact prefer that patients seek psychotherapy from clinicians who are part of a group practice. Work can be stressful and pay, although it averages $63,000, is sometimes not deemed enough. a. Career/vocational counseling – People do need help to assess their strengths and weaknesses and pinpoint their gifts to work towards a career that is most suited for them where they can optimize productivity. You can make around $46,000 in this job. b. Marriage and Family Therapy – With families under a lot of stress and pressure these days, you will never have a dull moment in this profession. This is usually a specialization under counseling psychology and one of the most in demand careers. At the lower end of the payscale, MFTs earn $36,052 or they can make up to $57,133. Other specializations in this area are child therapy and divorce mediation. c. Certified Addictions Counseling – Psychology graduate schools also offer as part of their counseling psychology programs concentrations in the area of drug addiction counseling and even prison counseling. These are more sensitive fields that require a lot of experience although it can be very fulfilling. Addiction counseling doesn’t pay as much though (between $39,674 and $42,206) while a correctional counselor could earn from $30,321 to $53,676. 3. Work for a health psychologist usually involves helping educate groups of people in the prevention of disease and illness and the promotion of healthy behaviors. Studies have shown that many diseases like stroke, AIDS, and cancer also result from behavioral factors. For this career, which can be very multifaceted, entry level pay starts at $40,000 and could go as high as $85,000 with further education, more responsibilities and experience. 4. To help enhance the performance of athletes, there are sports psychologists, who work closely with the team to determine what kinds of exercises and training may affect health and psychological adjustments. You can either work in schools or as a consultant for sports teams. Expect to make between $41,850 amd $71,880 for this kind of job. 5. If you work as industrial-organizational psychologist, you deal with relationships of people and their work environments. There is a premium on this especially in a highly competitive world. You will determine what steps to be taken to further improve productivity and can be called on during personnel selection. Business, government agencies and academic settings are the usually workplaces for this profession. These are one of the highest paid professionals receiving a median salary of $97,820. If you’re still exploring your options and are still wondering what can you do with a masters in psychology degree, the field is so vast and there are many more options to build a successful career. It’s no longer a question of what can you do with a masters in psychology, but how committed are you to becoming a good psychologist.